The East Texas Bedding Plant Greenhouse and Garden Performance Trial Program began in 1994 at the Overton Center by Texas A&M AgriLife Researchers. This program takes good plants and makes them better then puts them through field trials. Only the toughest, most reliable and best-looking plants make the cut after several years of extensive testing. During these trials, plants receive minimal soil preparation, reasonable levels of water and no pesticides, and then must show superior performance under Texas’ tough growing conditions. To be named a Superstar in the plant world is like winning an Academy Award (except without the long speeches of the winners and the fake smiles of the losers). This year two new Superstars came on stage—Balsamic Basil and Victoria Red Grapes. They join the ranks of about 60 other plants that have been given this designation over the years. 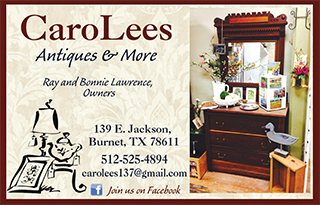 If you are interested in learning about previous Superstars, you can obtain a full color brochure through Texas AgriLife Research and Extension Center www.texassuperstar.com. The information in this article has come from the literature from the Center’s handouts written by Adam Russell, and Dr. Brent Pemberton, who is in charge of this program. Let’s take a look first at Balsamic Basil. 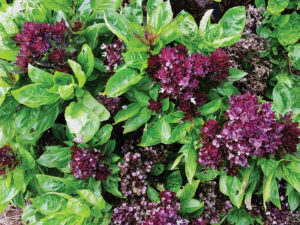 Basil is a popular backyard herb, and the newest Texas Superstar – Balsamic Blooms basil – represents an exceptional edible plant with ornamental qualities that make it a great addition to any garden, according to horticultural experts. 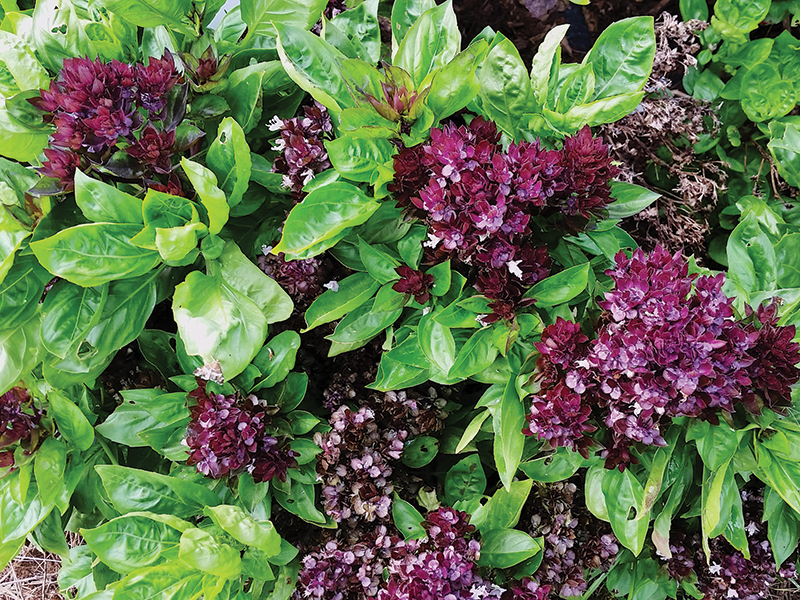 Balsamic Blooms is a versatile basil from new breeding lines, said Dr. Brent Pemberton, Texas A&M AgriLife Research ornamental horticulturist in Overton. The plant has attractive green foliage and deep purple blooms that make it a good choice for gardeners who want to incorporate edible plants to their landscapes and gardens. Balsamic Blooms was named a 2017 Texas Superstar plant by AgriLife Research and Texas A&M AgriLife Extension Service horticulturalists after three years of field trials around the state. To be designated a Texas Superstar, a plant must not only be beautiful but also perform well for consumers and growers throughout the state. Texas Superstars must be easy to propagate, which should ensure the plants are not only widely available throughout Texas but also reasonably priced. For taste, Pemberton recommends gardeners harvest young flowers because bloom stems turn woody with age. Removing young flowers also encourages branching and reblooming, which promotes more leaves and flowers. Leaves can also be rubbed to emit a spicy basil fragrance, Pemberton said. Balsamic Blooms reach 18-24 inches in height and do best in full sun to maintain the colorful flowers, he said. Space plants 18-20 inches apart in well-drained soil. Keep the soil slightly damp while establishing the plant and then slowly add irrigation without letting it wilt. Transplants are available in the spring in several pot sizes from 4-inch to 1-gallon containers, Pemberton said. They are annual plants with the ability to continue to grow soft new foliage while continuing to carry the purple flowers, he said. The blooms and foliage are long-lasting. Balsamic Blooms do not require pinching or other special care, though removing older flowers will keep the plant actively growing, Pemberton said. It is also pollinator friendly. Texas Superstar is a registered trademark owned by AgriLife Research, a state agency that is part of the Texas A&M University System. Plants are designated Texas Superstars by the Texas Superstar Executive Board, which is made up of seven AgriLife Research and AgriLife Extension horticulturalists. 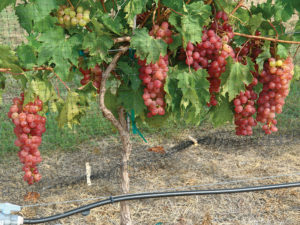 The other winner of the current trial program is Victoria Red Grapes. Texas grape growers face various obstacles, including disease, but an established variety has been recognized for its resilience, vigor and productivity as both an ornamental and edible plant – the Victoria Red grape. Victoria Red grapes have been named a 2017 Texas Superstar plant by Texas A&M AgriLife Research and Texas A&M AgriLife Extension Service horticulturalists after years of field trials around the state. The Victoria Red grape has grown successfully in the Victoria area for more than three decades and has succeeded where other grape varieties fell short because of their susceptibility to disease, said Dr. Larry Stein, AgriLife Extension horticulturist, Uvalde. Stein said the most significant characteristic of Victoria Red is its sustained health, vigor and productivity in the coastal area of Texas, which has extremely high Pierce’s disease pressure. The University of Arkansas, AgriLife Extension and Tarkington Vineyards near Victoria released the Pierce’s disease-tolerant grape variety. Evaluated as Arkansas 1475, the Victoria Red was bred in 1971. 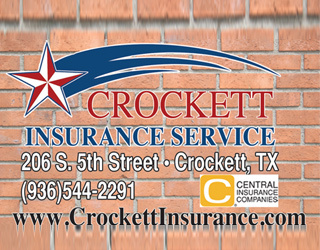 The variety is a seeded grape with both large berries and clusters that are attractive and long with a bright red skin color, according to the Texas Superstar promotion literature. Average cluster weights at Tarkington Vineyards exceeded 1 pound. Stein said clusters can reach 1 foot in length and berries are typically the size of 50-cent pieces. The Tarkington Vineyards’ location is approximately 40 miles from the Gulf of Mexico and has very intense Pierce’s disease pressure, according to the literature. Vines at this location were vigorous and productive for 20 years, while all other susceptible varieties died rapidly from Pierce’s disease. Victoria Red is recommended primarily as a fresh-fruit cultivar in U.S. Department of Agriculture hardiness zones 7b or warmer. The variety is typically a two-seeded berry with an occasional third seed trace. In addition to yield and quality potential, Victoria Red has loose clusters, which appear to make it resistant to bunch-rot organisms common on more tightly clustered varieties. The variety does best in well-drained soil with full sun and when spaced widely, 8-10 feet apart, said Stein. The plant may require iron chelate in high pH soils. Victoria Red will grow luxuriantly, and it’s best not to over-fertilize the plant and prune to keep in bounds each year, he said. Bare root plant the variety in early winter or plant container-grown plants in early spring. Stein said pruning typically includes removal of 90 percent of the wood that grew the year before. “Leave some 1-year-old wood because that is what fruits, but you still want to make room for new growth and prevent over-cropping,” he said. So as you being to plan your garden for next season don’t forget to look for Texas Superstars in your local nurseries, they are proven to be winners.